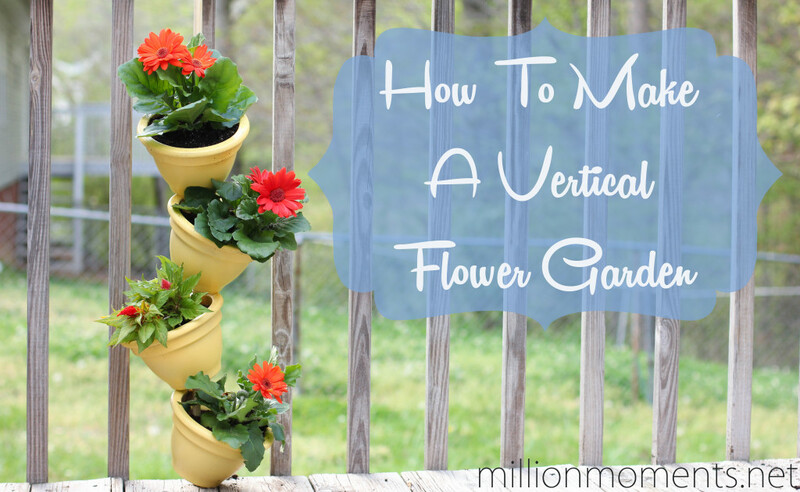 Spring is in full bloom and I have a tutorial to help you spruce up your outdoor space with a cute vertical flower garden! 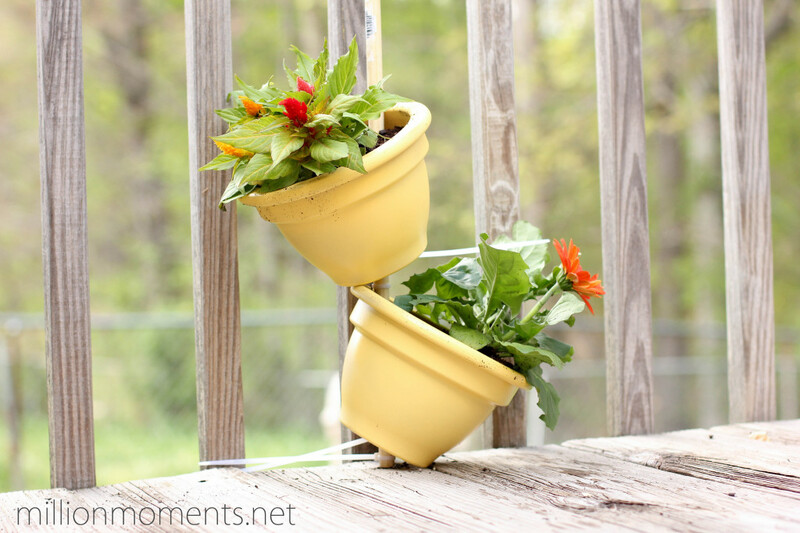 This is fantastic if you want to add some floral accents without sacrificing space from bulky pots or flower boxes. I have an awesome new back porch and adding these flowers is the first step in turning it into my oasis. My porch isn’t very big, so this craft was born out of my need to save as much space as I could. 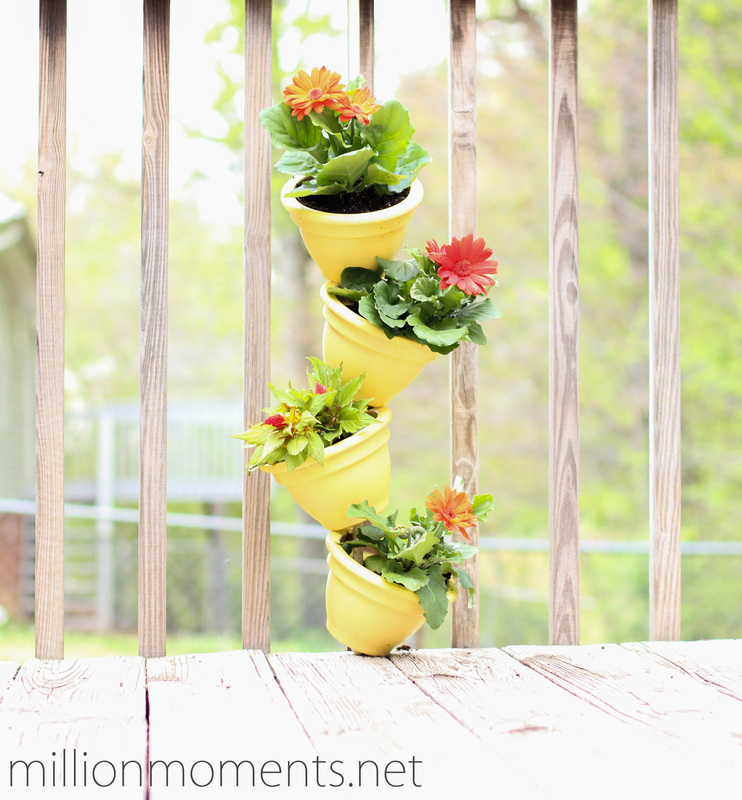 I spent a few days Googling vertical gardens but none of them were what I needed so I came up with this! Before you start, you need to know that this will take roughly an hour. If you are painting your pots before hand I would paint them the day before you plan to do your project. 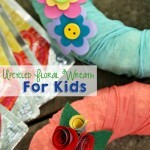 This is a great craft that your kids can help you with, and you can make it as tall as you want! 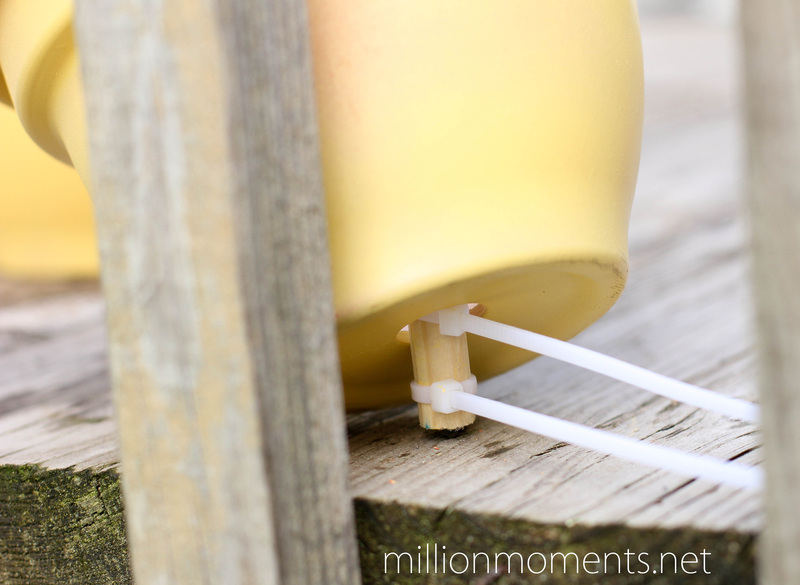 Wooden pole/dowel – less than an inch across, not so thin it snaps from the weight of your pots. I got mine at Lowe’s. 4 clay pots. They need to have a hole in the bottom that is bigger than your wooden pole. These are the ones I recommend. At least 10 Zip ties – VERY important! 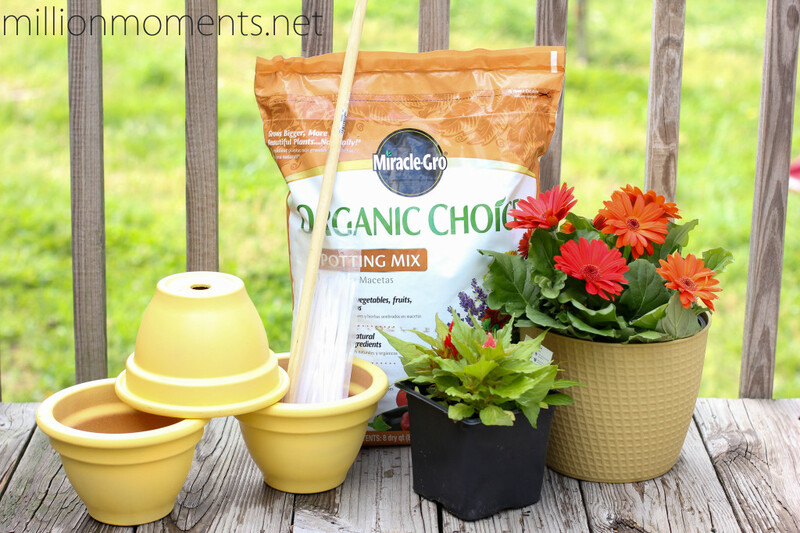 Potting soil (I use Miracle Gro’s Organic Choice). Paint (Optional – this won’t be included in the tutorial). Now that you have everything together it’s time to begin. 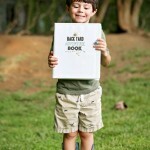 I did this by myself but it would have gone a lot smoother if I had help, so you might want to have a partner/kid/bff handy in case you need them to hold something steady for you. For this tutorial I will be assuming you have a porch with a railing to secure your pots to, but if you don’t you can easily modify the steps and attach it to the side of your house or even bury a large part of the pole in the ground and build it up from there. 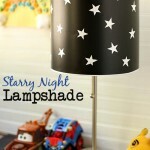 If you are planning on painting your pots go ahead and do that. You can paint your pole and zip ties as well if you want them all to match. Attach two zip ties tightly to your pole at the bottom about an inch up. They need to be as tight as you can make them so they don’t slip down because your pot will be resting on them. Once they are in place bring your first pot down to just above them and tilt it so that the top lip of it touches your pole. Swivel it around so that it is slightly pointing to the left. Don’t worry about cutting your ties yet, we’ll do that at the end. Try not to let the pot slip out of position before you start packing dirt in, it’s not as easy to move once everything else is in place. 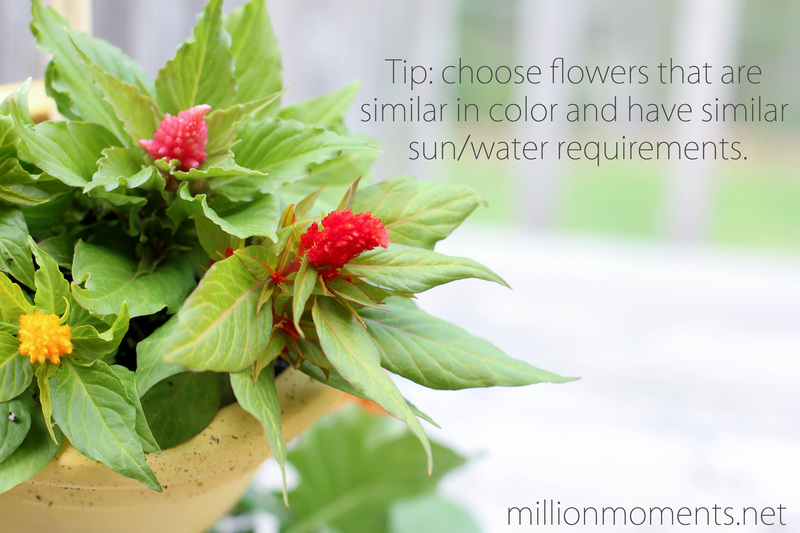 Start packing your soil in the pot and add your first flower. I like to pack it tight, but not too tight. 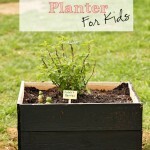 Position the plant so that it is even with the angle of the pot instead of pointing straight up. If you point it straight up it will get int the way of your next pot layer. 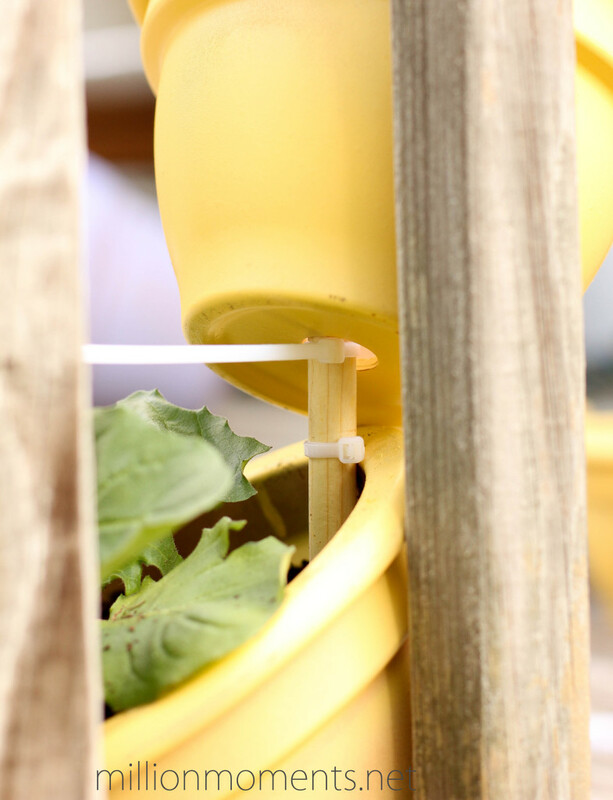 Now repeat the same zip tie steps directly above the bottom pot. The first tie will be to anchor the lip of your bottom pot so you want to push it firmly down on top of it. The second one will be the anchor for your next pot. 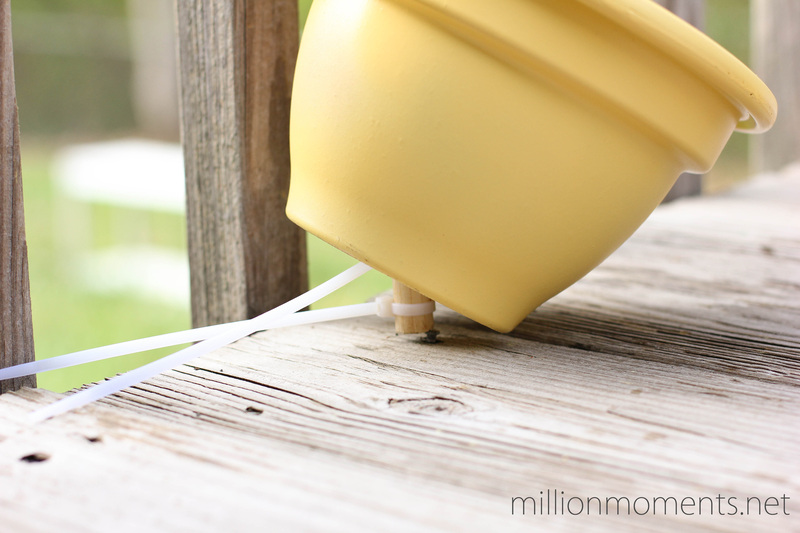 Add your second pot, making sure it rests on the highest zip tie and tilt it in the opposite direction as the first pot. 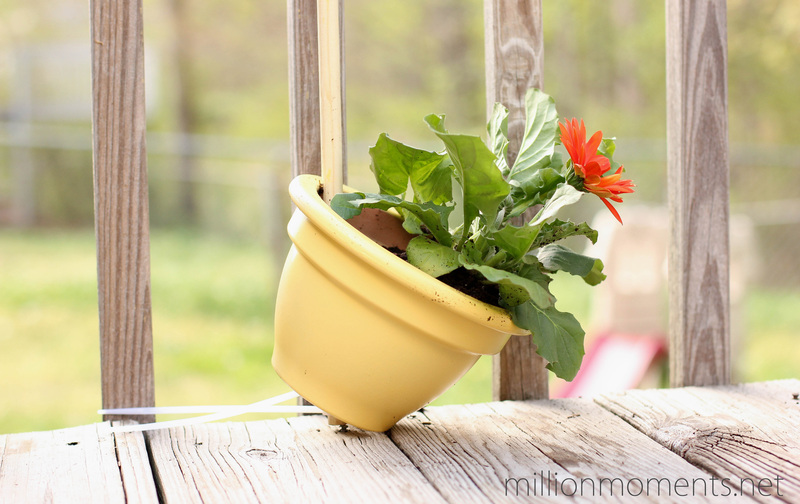 This one won’t be sturdy until you put your soil and flower in, so this is when you might need your helper to step in and steady it while you fill it up. After that, repeat the same steps for however many pots you have. Make sure the flowers you chose are not going to get too large and overpower your vertical garden, but that they aren’t too small they look out of place. 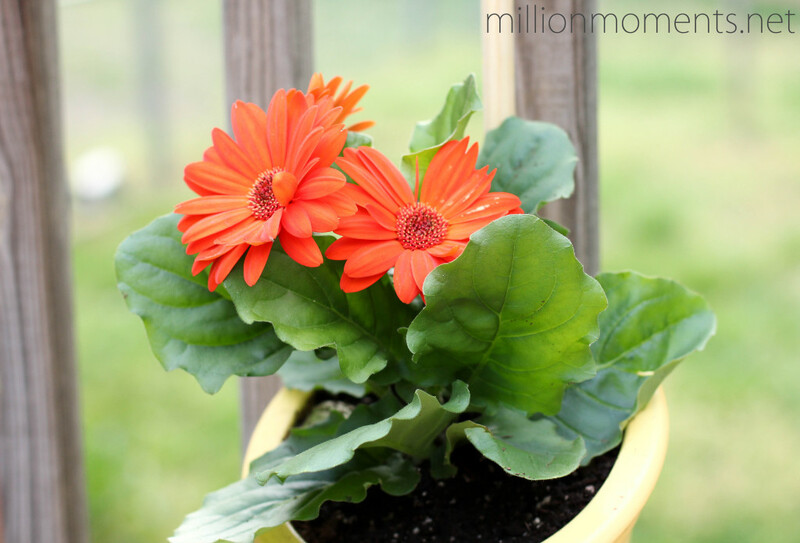 I chose some rich orange gerber daisies because they are my favorite flower (and my wedding bouquet) along with a cute pink and yellow flower that I thought would match. 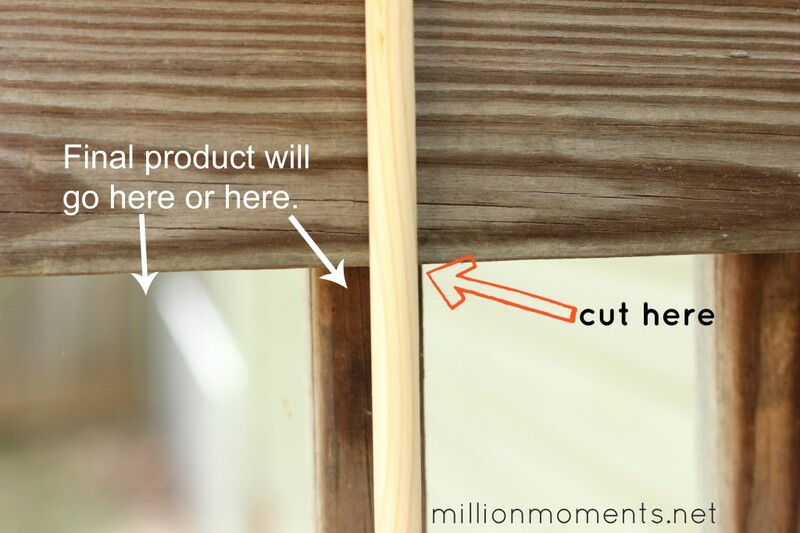 After you have finished repeating those steps cut all of your zip ties so they don’t stick out and make sure your pole is secured and sturdy. Mine fit in very snug, but if you want a little extra support you can put a dab of wood glue just in case. Now you are done, go ahead and marvel at your creation! Wasn’t that simple? If you have any questions, don’t hesitate to ask them below. I’ll be sure to help you out however I can! 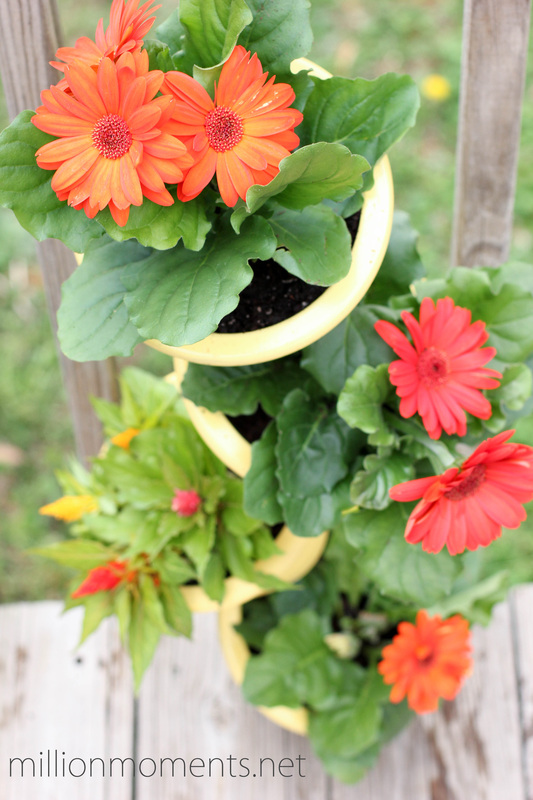 To care for your new vertical garden follow the instructions specific to your plants. You should only need to water the bottom plants lightly as the holes in each pot rest directly above the soil for the pot below. Genius, eh? 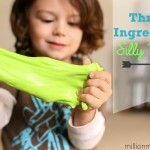 Want to pin this post? Use the “pin it” button below!